Jackson is a multi-billion dollar leader in the financial industry, specializing in financial instruments and other retirement products. Jackson sells its products through broker wholesalers. Like all companies its sales force struggles to break into certain key accounts. The sales team felt it could sell tens of millions of dollars of financial products to these key accounts if they could just establish an initial relationship. 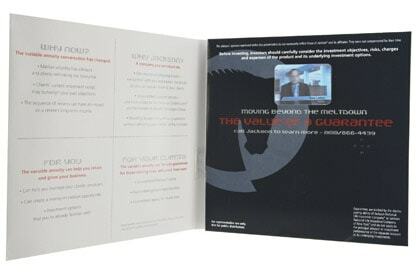 Jackson's Vice President of Marketing wanted a tool that the sales team could use as a direct mail piece to go directly into this group of sophisticated brokers. 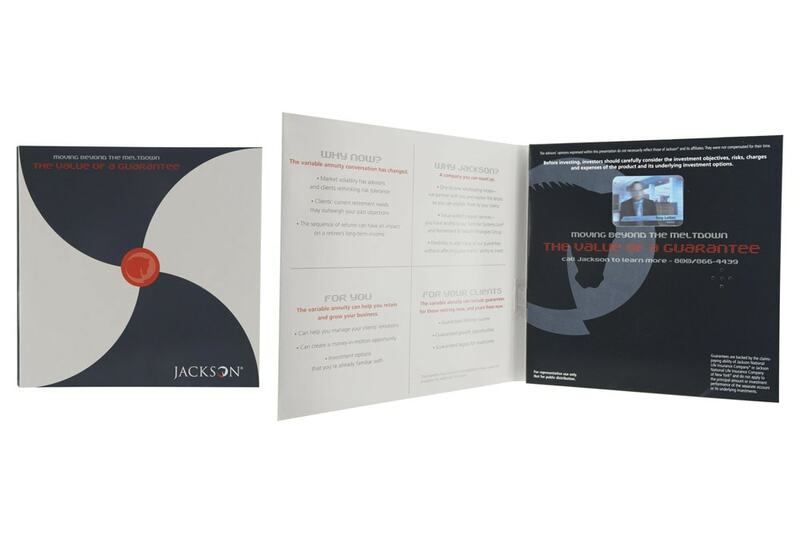 Americhip worked with Jackson to develop a VIP® brochure branded with Jackson graphics and a single two-minute video clip reminded the brokers of the volatile marketplace and the losses suffered by consumers who used risky complex investments rather than established brands like Jackson. Jackson initially ran a test quantity to gauge the brokers' response. The results from the field were immediate and very impressive, leading one marketing manager to call it “the single best marketing piece we have used in our history”. After hearing from its sales team, Jackson reordered a large quantity of the VIP® brochures to allow its Reps to target the majority of high end brokers in their industry. Based on the success in the field, the VIP® brochure converted from an expense item to a means for revenue and profit generation.